I remember waking up at the crack of dawn after Beyoncé’s Coachella set last year and watching video after video of her performance, immobile in my bed, my body burning with FOMO. But now all of us peasants who didn’t see Bey perform last year can rejoice: not only did she drop her Homecoming special on Netflix last night, she also dropped a live album of the entire performance. 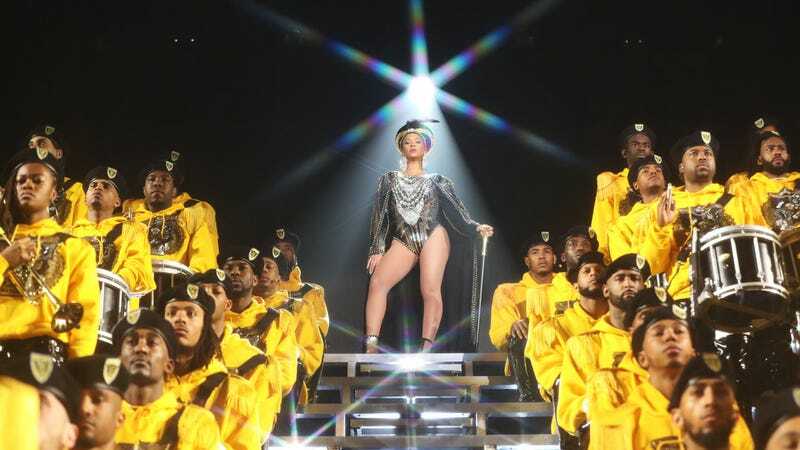 Homecoming: The Live Album is a 40-track live album of the Beychella performance, which was a perfect blend of classic, Destiny’s Child-era Beyoncé (with Kelly Rowland and Michelle Williams joining for songs like “Say My Name” and “Lose My Breath”) and new classics like “Formation” and “7/11.” It’s also the first solo Beyoncé album since her self-titled that’s been immediately released across all platforms, whereas Lemonade was cursed to remain on Tidal. The Homecoming doc, which CNN reports was shot over eight months, is more than just the live concert. The doc also underlines how the Beychella show was a homage to HBCUs and includes backstage moments of how the show came to be, with every aspect (unsurprisingly) personally selected by Beyoncé herself. I feel bad for anyone who had to perform at Coachella this weekend, considering everyone was talking about Beyoncé, and she wasn’t even there.